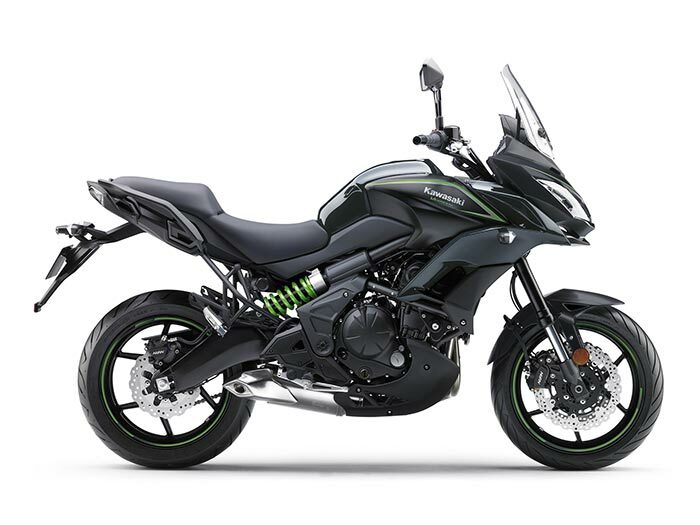 Kawasaki’s multi-purpose, mid-sized adventure touring models, the Versys® 650 ABS and Versys® 650 LT, are updated for 2017 with new paint and a new Gear Position Indicator located in the dash, giving riders the ability to always know what gear they are in. The adjustable windscreen now features a revised knob design for easier adjusting. 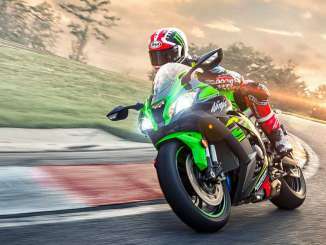 Also new for 2017, the selection of available Kawasaki Genuine Accessories now includes an accessory GPS mount, for assisting in long-distance touring. Gear indicator added to the instrument display provides gear position at a glance to help keep rider informed. * Revised knob design for the adjustable windscreen enhances the stylish looks. 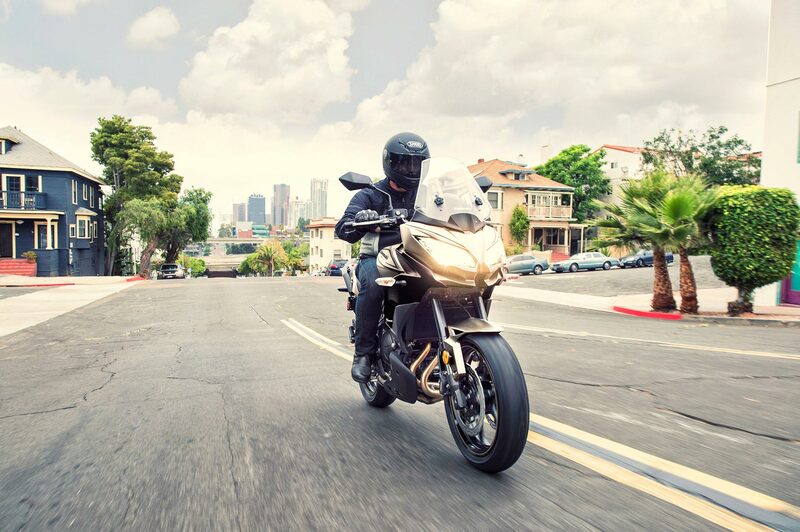 Tuned to deliver strong, responsive power from 3-6,000 rpm for greater acceleration from a stop. One-piece muffler and exhaust pipe helps boost top-end engine performance. Muffler with 3-way catalyzer and bullet-tip opening is mounted below the engine to help lower the center of gravity and aid weight centralization. 38mm Keihin throttle bodies feature dual throttle valves(KP) for optimum performance and rideability. The sub throttles, located behind the main throttle valves, are controlled by the ECU so that the DFI® system has more precise throttle response, similar to a constant-velocity carburetor. Precise fuel injection plus exhaust catalyzer significantly reduce emissions. 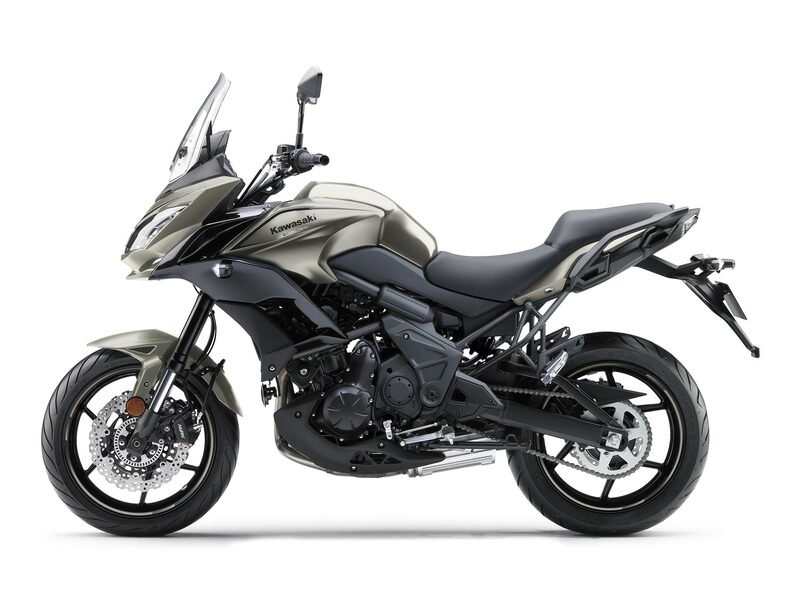 Positive Neutral Finder, a Kawasaki exclusive user-friendly feature. 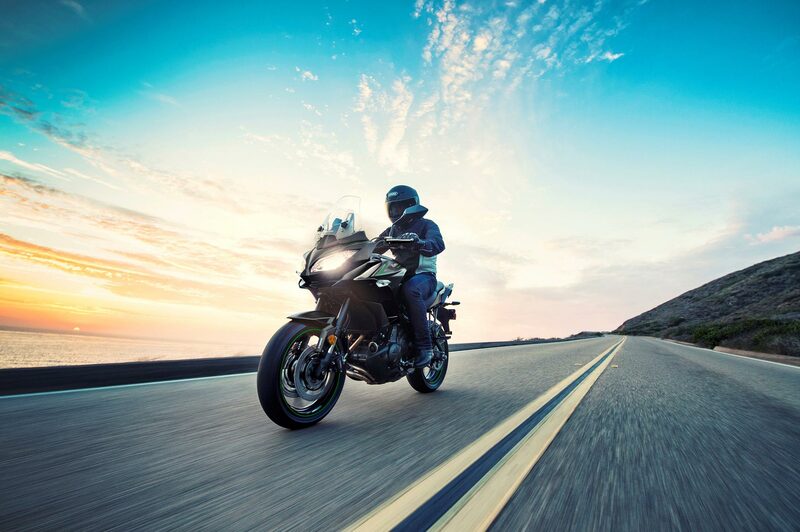 Rubber front engine mounts help reduce vibration for rider comfort. Double-pipe perimeter-frame(KP) is simple and unique and contributes to light handling character. A backbone-style rear subframe keeps the seat narrow for an easy reach to the ground while allowing a thick cushion for comfort. Strong rear sub-frame accommodates optional accessory top case for increased touring capacity. Double-pipe swingarm matches the frame design and contributes to light, easy handling. Gull-wing shape on the right side allows clearance for the aggressive muffler design. Anti-Lock Brake System (ABS) helps assist braking under certain conditions and features a small Bosch control unit to save space and weight. Large rear petal brake disc helps handle heavier loads when accessories are added. Derived from high-spec forks on Kawasaki Ninja® sportbikes, the Showa fork separates damping and spring functions into each fork leg. Rebound damping adjustability is in the right fork leg and spring preload in the left leg. The rear shock has a remote hydraulic preload adjuster that allows the rider to conveniently change preload, without tools, for various load conditions. Aluminum gull-wing swingarm and offset, laydown single rear shock complement the frame design to create an integrated line flowing from the steering head to the rear hub. The footpegs are positioned for a relaxed riding position without compromising sport potential. The footpeg mounting plates are rubber mounted to help isolate the rider from vibration resin heel guards help prevent paint wear from the rider’s boots. Rubber-mounted handlebars help reduce vibration reaching the rider. 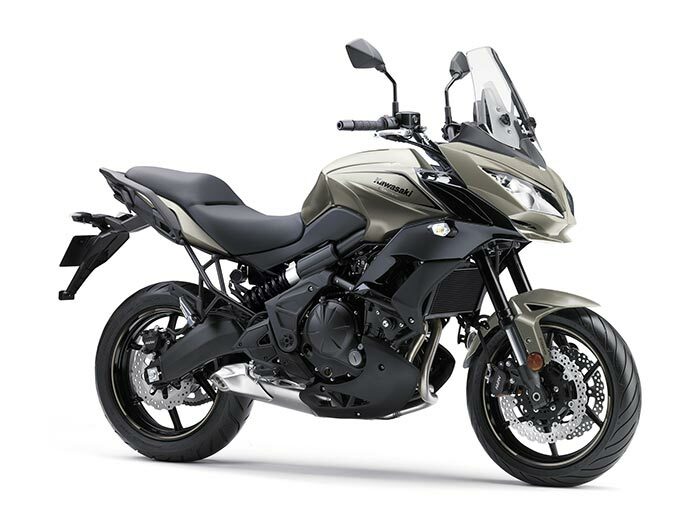 Passenger grips provide a stylish handhold and accommodate the KQR (Kawasaki Quick Release) 28-liter Saddlebags.